Australians are addicted to tropical islands. Whether we are planning a family getaway or a romantic break for two, our thoughts often turn to white-sand, blue-sea destinations, Bali and Fiji, Phuket and Penang. We have become so used to the island escape – a retreat from the real world, where the only thing that disturbs your tranquillity is the whisper of the wind through the palm trees, or the drinks waiter bearing refills – that we often forget that there are many other types of island experiences on offer. There are islands in every climatic region across the globe, in every shape and every size. There are islands that are mere scraps of land, and others that are significant land masses. There are islands that cluster close to shore, and others that sail alone in magnificent isolation; islands where the weather is mild all year around, and others that shiver under a permanent blanket of snow. Unlike the typical tropical island escape, which is all about unwinding, many of the world's islands are destinations made for exploring. Some feature extraordinary geological features that attest to the earth's tumultuous power. Others bear the traces of thousands of years of human habitation. In some cases, the lure is the local food, distinctive cuisine shaped by centuries of conquest and invasion. For those interested looking for more than a five-star hideaway, we have compiled this list of some of the world's most underrated islands. From Scandinavia to South America to Asia, these destinations offer a very different sort of island escape. VITAL STATISTICS Consisting of nine islands ranging in size from 750 square kilometres to 17 square kilometres, the Azores lie 1300 kilometre west of Portugal. Population 245,000. 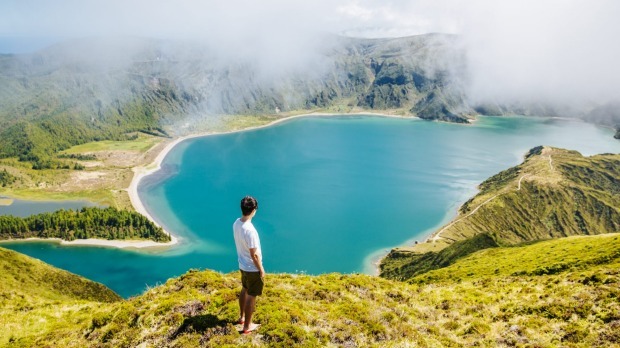 WHY HERE The wonderfully wild Azores are all about the great outdoors, with kayaking, hiking, diving and windsurfing all on offer. WHAT TO DO Head for the heights of Portugal's tallest mountain, the 2350-metre Montanha do Pico, on the island of Pico, or try the nearby 10.5 kilometre Caminhos de Santa Luzia trail instead, which passes by stone-walled vineyards and incense tree forests. 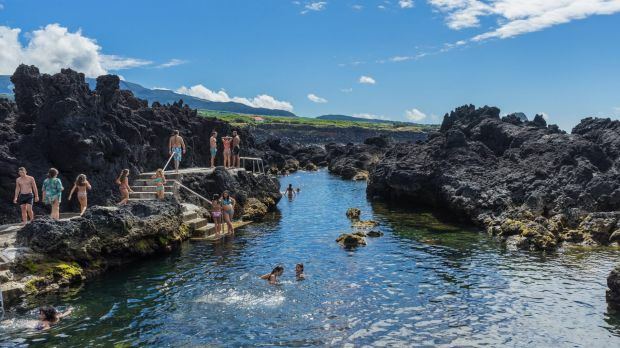 The largest island, Sao Miguel, is particularly popular with surfers, while Terceira's geological wonders include the opportunity to descend into a 90-metre-deep volcanic chimney. DON'T MISS Sao Miguel's lovely crater lake, Lagoa das Furnas, is surrounded by verdant forest and steaming fumaroles. Take a morning cycle around its shores or enjoy a spot of kayaking before tucking into a traditional lunch cooked in a pit on the steaming lake shore. ESSENTIALS TAP and Azores Airlines fly to the Azores from Lisbon and Porto. Temperatures are mild all year round; avoid the rainy season (November to March). The Furnas Boutique Hotel has its own thermal pools as well as a spa. Rates from €155. VITAL STATISTICS Sweden's largest island, in the Baltic Sea, measures around 3000 square kilometres. Population 57,000. WHY HERE Gotland may be a popular summer getaway for Swedish families, but it is also paradise for history lovers. Evidence of human habitation here dates back 8000 years, and the area has a rich Viking heritage. 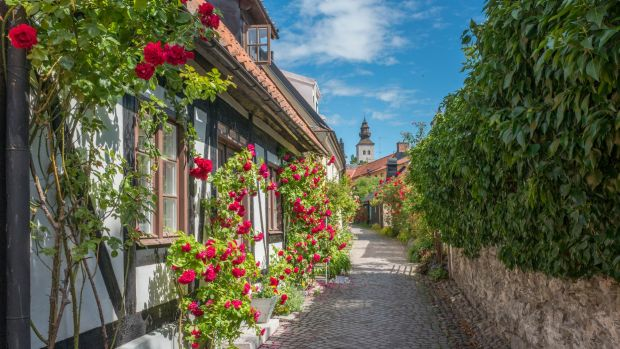 WHAT TO DO Skip the beaches and head straight for the town of Visby, a medieval masterpiece surrounded by three kilometres of city walls. Wandering the labyrinthine streets reveals plenty of delightful surprises, including no fewer than 13 medieval churches. Ready to channel your inner Viking? Then head to Storholmen, a living museum that recreates a 10th-century village. Try your hand at axe throwing or archery or, if you are a pacifist, baking Viking bread. DON'T MISS Visby's Lansmuseet museum is packed with treasures, including 8th-century picture stones and the Spillings treasure horde, which contains 70 kilograms of silverware. ESSENTIALS Gotland is a three-hour ferry trip or 45-minute flight from Stockholm. Summer is the most popular time to visit, although autumn may be a better choice if you want to avoid crowds. The Clarion Hotel Wisby has charming interiors and prime location. Rates from SEK1016. VITAL STATISTICS The 500-square-kilometre island of Montreal (yes, it actually is an island) is the heart of the city of Montreal, which stretches onto the mainland and across 70-odd smaller islands. Population 1.7 million. 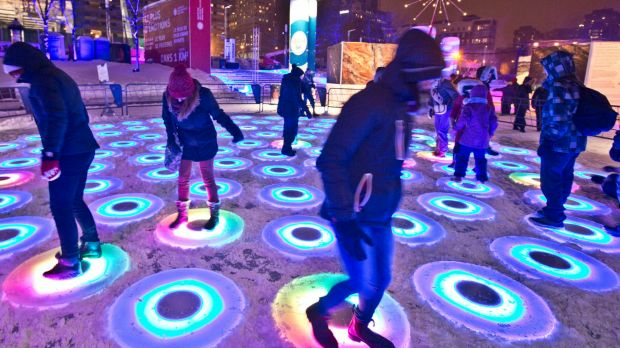 WHY HERE Sure, Montreal has a historic centre and an impressive array of museums, but this city's cultural credentials rest on its extraordinary calendar of festivals, around 100 each year. WHAT TO DO Whatever your favourite art form, Montreal has a festival dedicated to it – perhaps even more than one. Film fans, for instance, can choose between the Montreal World Film Festival, a festival of children's cinema, a world cinema festival and a festival dedicated to movies about art. Into music? There are festivals that showcase chamber music, baroque music, electronica and African music. There are theatre festivals, comedy festivals, literature festivals, photographic festivals and more. Most festivals feature a significant number of free performances. DON'T MISS The year's biggest party is the International Jazz Festival, held every July. Don't let the name fool you: the 600 or so performances cover all genres of music, including pop, rock and world music. ESSENTIALS Numerous airlines including Air Canada fly to Montreal from cities across North America. The summer months are the peak festival period, but festivals are held throughout the year. For chic lodgings in the heart of the Old City, try the boutique Le Saint-Sulpice Hotel. VITAL STATISTICS Floating just off the toe of Italy, Sicily is the largest island in the Mediterranean, measuring 25,000 square kilometres. Population 5 million. WHY HERE Every region in Italy has its own cuisine, but Sicily's is truly remarkable, weaving the influences of the many cultures that have conquered the island over the years, from Greeks to North Africans to the French. WHAT TO DO Some destinations are all about fine dining. Sicily is all about the food of the streets and the food of the people. You will find plenty of distinctive dishes here. 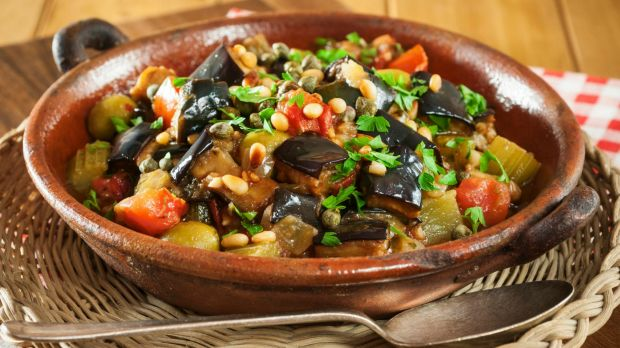 Some – such as the icy treat of granita and the eggplant salad called caponata – have a distinctly Arabic influence. Others offer a local take on Italian favourites, such as sfincione, thick-based pizza usually topped with anchovies, onions and cheese. Keep an eye out for regional differences: depending on where you travel, the arancini may be filled with chicken liver, ragu or tomato and mozzarella. DON'T MISS What do you drink with Sicilian food? Sicilian wine, of course. Local varietals such as nero d'avola and zibbibo are a good choice, but the local syrah is also worth trying. ESSENTIALS A large number of airlines, including Alitalia, fly to Sicily's four airports. Spring (April to June) and autumn (September to October) are the most pleasant months. Peter Sommer Travels is running an eight-day Gastronomic Tour of Sicily food tour from September 22, 2018, limited to 10 guests. Rates from £3375. VITAL STATISTICS Although it belongs to France, the mountainous island of Corsica is closer to Italy, sitting directly north of Sardinia. It has an area of 8600 square kilometres. Population 320,000. 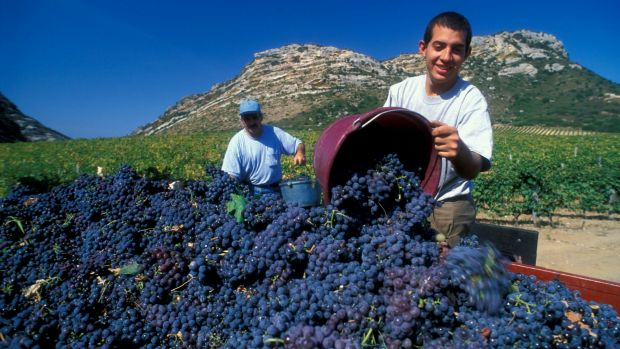 WHY HERE Corsica is known for its beaches, its landscapes and its quaint villages, but its burgeoning wine scene has largely flown under the radar. Wine has been made here for more than 2000 years, and the local wineries produce quality wines at very reasonable prices. WHAT TO DO With a range of soils, from limestone and clay to granite and sandstone, and at least 40 indigenous grapes, there are a lot of different wines to discover. Top red varietals include the aromatic, earthy and fruit niellucciu and the elegant sciaccarellu; among whites, vermentinu is the most popular drop. Must-visit vineyards include Domaine de Torraccia near Lecci, Enclos des Anges near Calvi, and Clos d'Alzeto, which has the highest vineyards in Corsica. DON'T MISS Set amid the vineyards of Calvi, Auberge du Coucou at Calenzana is known not just for its superb meals, but also for one of the best cellars in the country. ESSENTIALS Air France and Air Corsica fly to Corsica from a number of French towns including Paris, Nice and Bordeaux. Ferries to Corsica depart from French ports such as Marseilles and Nice, and Italian ports such as Genova and Livorno. The most pleasant months to visit are April to June, September and October. The Hotel Mare Monti at Feliceto is housed in a historic mansion, and has its own vineyards. Rates from €79. 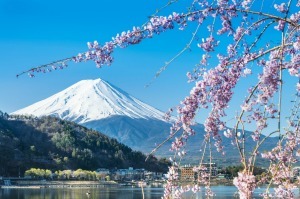 VITAL STATISTICS Japan's northern-most island has an area of 74,000 square kilometres – 20 per cent of Japan's total area – but only 5 per cent of its population. Population 5.3 million. WHY HERE It is Japan, but not as you know it. The Japanese only settled this island in the 19th century, and it remains much wilder than the rest of Japan, with 10 per cent of its area dedicated to national parks. Skiing and snowboarding are popular in winter, while spring and summer are great for hiking. WHAT TO DO Soaring mountains, active volcanoes, pristine crater lakes, verdant forests, endless hot springs: Hokkaido has it all. Start your explorations in Daisetsuzan National Park, Japan's largest, covering more than 2300 square kilometres. Keep an eye out for local wildlife, which includes deer, foxes, eagles and even brown bears. 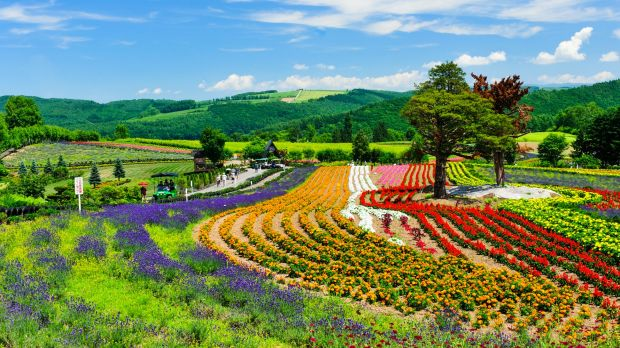 DON'T MISS Wildflower fans will be thrilled to discover Hokkaido's rare blooms. There are about 500 different species, some of which are found only on one particular mountain. ESSENTIALS ANA, Japan Airlines, ANA and Qantas all fly to Hokkaido. July, August and September are peak hiking season; sign up for a walking tour with a specialist operator such as Walk Japan. VITAL STATISTICS The world's largest island, Greenland covers more than two million square kilometres. It belongs to Denmark, which lies 3500 kilometres to the east. Population 56,000. WHY HERE Don't let the name fool you; 80 per cent of Greenland is covered with ice, making this a distinctly different destination. With few roads, cruising is the best way to explore it. 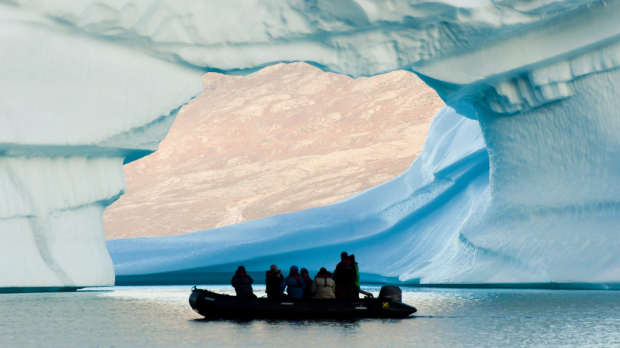 WHAT TO DO Greenland's biggest draw is its spectacular icescapes, including mammoth glaciers such as Eqip Sermia. Among the most unforgettable destinations is Illulisiat Icefjord, an icy wonderland where you can cruise among the icebergs. No two bergs are alike, with colours ranging from white and blue or even orange, when hit by the rays of the midnight sun. It is not all about the natural wonders, however; visiting some of Greenland's isolated communities ranks among the highlights of any trips. Locals at the tiny settlement of Ukkusissat greet visitors with singing and dancing; don't be surprised to see whale meat and fish drying on front porches in some communities. DON'T MISS From Kangerlussuaq, make a quick side trip to the Greenland Ice Sheet, the largest ice sheet outside Antarctica, which covers 2400 square kilometres. ESSENTIALS Air Greenland flies from Copenhagen to Kangerlussuaq, a popular departure port for cruises. Hurtigruten Cruises offers a range of cruises during June and July. VITAL STATISTICS Covering just 163 square kilometres, Rapa Nui is a long way from anywhere. Its nearest neighbour, Pitcairn Island, is more than 2000 kilometres away. Chile, the country which governs it, is a five-hour flight away. Population 5000. 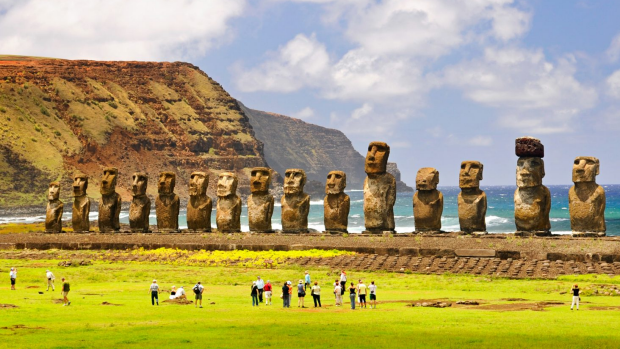 WHY HERE Those mysterious statues – known locally as moai – fascinate people around the world. What puts off many travellers is the logistics of getting here, with the only regular flights departing from Santiago, Chile. WHAT TO DO There are literally hundreds of moai scattered across the island, but the essential sights include Ahu Tongariki, where 15 massive moai stand on a platform lined up with the coast, and the quarry where the moai were originally carved. Hundreds of moai can still be seen here, including the largest moai on the island, which is an astonishing 21 metres long. Other top sights include the Birdman Village and collapsed lava tubes that were used as greenhouses by the locals. DON'T MISS Take a hike to the crater lake of Rano Kau, one of the loveliest spots on the island. 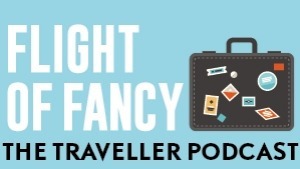 ESSENTIALS LATAM flies from Sydney to Santiago, with connections to Rapa Nui. Explora Rapa Nui is the island's best lodging, and offers a terrific activity program along with gourmet meals. Three-night package, including full board and activities, starts from $US2343 per person twin share. 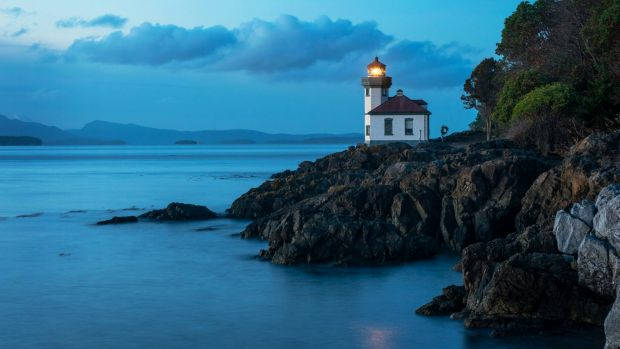 Peaceful farms and friendly villages, whale-watching, beachcombing, crabbing and sunset-watching: that's what lies in store on the San Juan Islands. This collection of 172 islands and islets near Seattle offers a trip back to a kinder, gentler time. Off the coast of Brittany, this beautiful island has inspired some of France's greatest artists and writers, including Matisse, Monet, Flaubert and Dumas. Along with its pretty towns and beaches, the island is known for hosting a major opera festival. The birthplace of the notorious Soviet Gulag has reinvented itself as an unlikely tourist destination, drawing visitors to its 600-year-old monastery and its celebrated labyrinths as well as the infamous Solovetsky prison. No big surprise to learn that this island off the Donegal coast has six pubs for a population of fewer than 500 people. However, it's not all about drinking: you can also enjoy spectacular hiking, fishing and diving. Chileans regard Chiloe as a mystical place, where locals believe in witches, goblins and ghost ships. Australians are more likely to be interested in the island's colourful wooden churches, pastel-coloured stilt houses and its distinctive regional cuisine. Ready for some tropical time out, but looking for a destination that is a little different? These islands may appeal. Off the continent's western coast, these two islands form one of Africa's smallest nations. 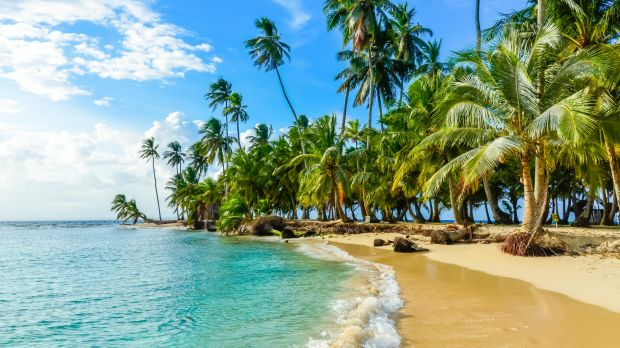 Beautiful beaches, rainforests and reefs – and a reputation as a safe and friendly destination – make this an underrated gem. Sulawesi's colourful coral reefs are only its second most interesting attraction. Top spot goes to the tribal culture of Tana Toraja. Set amid verdant rainforest, the Toraja culture's colourful traditions include remarkable houses with boat-shaped roofs and elaborate funeral customs. 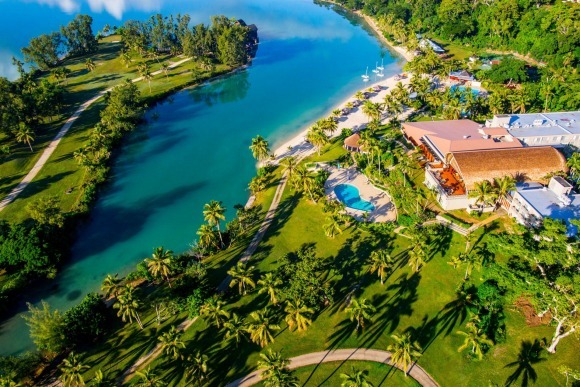 Looking for a resort-free corner of the Caribbean? Welcome to San Blas, a collection of 300-odd tiny islands where home stays are more popular than hotels. Top activities: snorkelling coral cays and lounging on deserted beaches. They have been a backpacker favourite for years, but other travellers are discovering the charms of Cambodia's islands. If you are looking to chill out, head to tranquil Koh Rong Sanloem, which has turquoise water, white beaches, comfortable accommodation, and not much else.